FileMaker, Inc. is planning to release updates to address compatibility issues with OS X El Capitan as well as other general bug fixes. FileMaker, recommends that you wait for these updates before using FileMaker with OS X El Capitan. Unfortunately, there is no word yet on when that update is expected to be released. I’ve so far heard mixed reviews from those using FileMaker 14 on the El Capitan Gold Master. Some have had good luck. Others warn of danger damaging files. So, I would take FileMaker Inc.’s advice and wait for this impending upgrade to FileMaker 14. FileMaker 13 and earlier versions of FileMaker have not been tested or certified with OS X El Capitan). These products were developed and released before OS X El Capitan became available. While these earlier versions may install and run, you may encounter installation and stability issues for which there is no resolution. My experience on previous OS X Upgrades and FileMaker is that this is likely to be the last official word from FileMaker Inc. on these pre-14 versions of FileMaker. I will be keeping up on this issue informally with other FileMaker consultants and developers to determine the safety of running prior versions of FileMaker under OS X 10.11 El Capitan. As I mentioned in the previous post today, it may work to run FileMaker 13 and prior as a guest under El Capitan but may never work safely running earlier versions of FileMaker under El Capitan. FileMaker Inc. won’t commit to the safety of such an undertaking. I advise you to avoid upgrading a Mac to El Capitan if you need to run your own FileMaker files locally on that computer. Around Tokerud Consulting Group, we have Macs all the way back to one of the first Mac minis that can still run OS 9 Classic so that we can help folks who need to convert their FileMaker systems from all the way back to FileMaker II 1.0. This entry was posted in FileMaker 11, FileMaker 13, FileMaker 14, FileMaker News, OS X El Capitan on September 30, 2015 by janet. 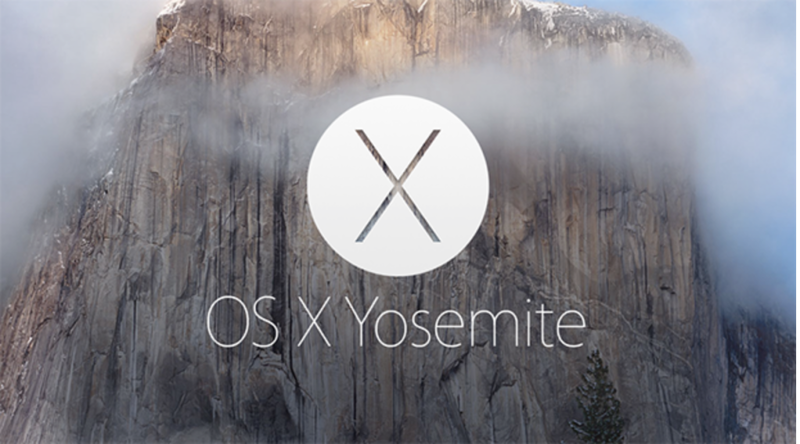 Upgrading to OS X El Capitan might be the fun and exciting thing to do today – Day 1. It’s free and your Mac probably supports it. But, we don’t have a go ahead on FileMaker Pro 14 from FileMaker Inc. yet (10:20 am PDT). Sometime within a week and possibly later today, we may hear whether FileMaker Pro 14 is certified to run under OS X El Capitan. But please read on. FileMaker Go 14 just got an update to 14v3 yesterday and is now FileMaker-certified good to go with iOS 9 and even supports Split View and Slide Over in iOS 9. It wouldn’t be surprising to see FileMaker Pro 14 get an update to 14.0.3 soon which would very likely be required for OS X El Capitan. I think the chances are less than 50-50 that FileMaker Pro 13 will be certified for OS X El Capitan. Yes, Apple owns FileMaker, Inc. So, we might want them to support FileMaker Pro 13 on the brand new shiny OS X El Capitan. I’m with you but the kind of people who want to upgrade to OS X El Capitan on day one might also be the kind who already have FileMaker Pro 14 which came out in early May. Don’t be silly! But, FileMaker Pro 11 is a very popular version of FileMaker and there are still quite a few installations out there. I have found that as a client of a FileMaker Server 11 or even FileMaker Server 10, I have been able to run FileMaker Pro 11 on OS X Yosemite Macs. Don’t be adventurous with your precious FileMaker data today. You can always check FileMaker.com’s Knowledge base and search for OS X El Capitan to see what the official word is at any point in time. This entry was posted in FileMaker 13, FileMaker 14, OS X El Capitan on September 30, 2015 by janet. If you are using a FileMaker Pro database and want to continue doing so, don’t forget to check that your version of FileMaker Pro is compatible before you upgrade to OS X Yosemite or any other version of OS X above your current version. Here is the URL from filemaker.com. As of 9:15 am, OS X Yosemite is not listed on FileMaker.com’s Compatibility web page. I hope to see Yosemite added to this list within 24 hours of the official Yosemite release — probably sooner. So check this page before upgrading. If your current version of FileMaker Pro is not listed at all, you’ll want to wait longer and investigate filemaker forums and other means to determine the safety of using Yosemite. Not the official word from FileMaker Inc. but MIT Information & Technology Knowledge base says the OSX Yosemite Gold Master 3 was OK for FileMaker Pro 13 but not for FileMaker Server 13 when I looked at it today. This entry was posted in FileMaker 11, FileMaker 12, FileMaker 13, OS X Yosemite on October 16, 2014 by janet.